Calling all Publications: It’s not just fashion and products we love shooting! 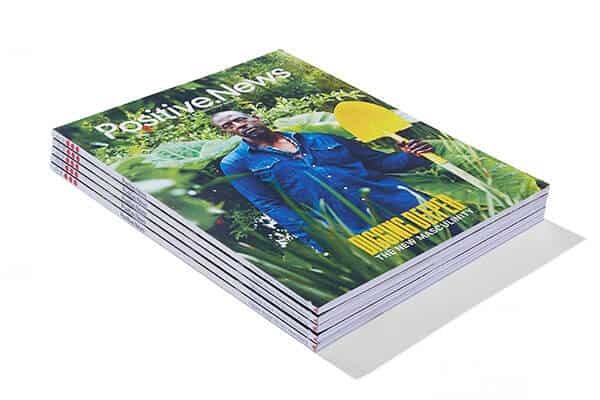 The Blend team worked alongside the wonderful Positive News magazine to photograph their 90th issue. With readers from over 30 countries, they’ve begun a movement to change the news for good. 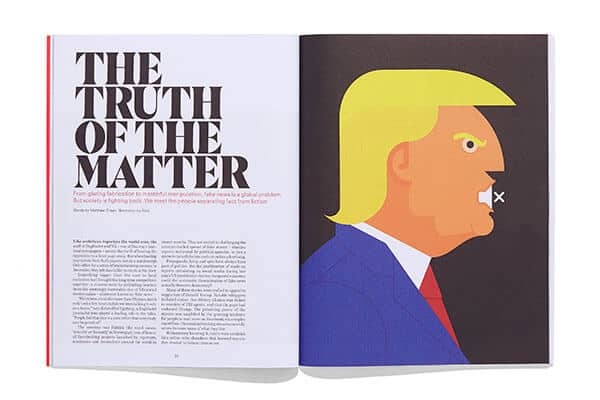 In January last year, the magazine was re-launched with an increased focus on their quality of design. We were of course very proud to be a part of their creative development. With a quick flick-through of the pages, your attention is drawn to bold colours and creative info graphics. We understood that this is a publication that respects aesthetic as much as it does content. It was our job to make sure that this was translated in our photography too. The beauty of paper is the flexibility its material allows in terms of lighting. Using a hard light to produce strong curved shadows complimented the linear structure across the images. By using a smaller light source, we had complete control over the appearance of shadows and the subtle textures paper embodies. Our retouching department ensured there was no loss in saturation, and each tone was perfectly matched to the print. We had such a positive experience shooting for the team, and we’ve always found graphic compositions so aesthetically pleasing. If you’re in need of new photography for your magazine, children’s book or maybe even business cards – whatever it may be; let us know!